Jessica and her two grandsons. Jessica lives in Buikwe Uganda and looks after her two grandchildren after their parents sadly died from HIV/Aids. Her grandsons rely on her to provide for all their basic needs such as food, school, water and healthcare, but Jessica has parkinsons disease so this can be very difficult. When we met Jessica and her family, they did not have a toilet. No toilet meant they had to resort to going to the toilet out in the open, but this contributes to the spread of disease, especially if waste ends up in a nearby water supply. Without somewhere to wash their hands after, Jessica and her grandsons were all at risk of getting sick with diarrhoeal diseass. 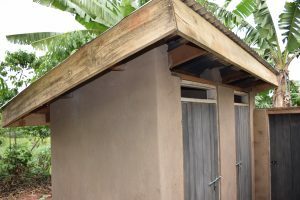 In Uganda, diarrhoeal diseases kill 4,500 children each year: yet these diseases are almost entirely preventable with improved hygiene, sanitation and safe water. For Jessica’s family to drink, wash, cook and water crops, they need around 80 Litres of water every day. Due to her illness, Jessica has to rely on her grandchildren to collect the 4 jerry cans each holding 20 Litres of water that their family need. The time her grandsons had to spent collecting water was time taken away from school, homework, playing and resting. In 2017, our partners in Uganda met Jessica and her family. 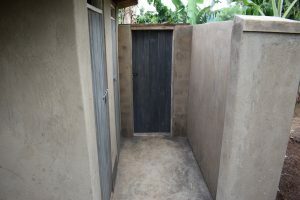 They identified Jessica’s family as urgently needing support and through our Water Programme, they now have a family bathroom with two toilets, a washroom and hand-washing facilities. On top of this, a rain-harvesting system was installed in her home to help provide clean water for the family and reduce the time her grandsons spend collecting water. 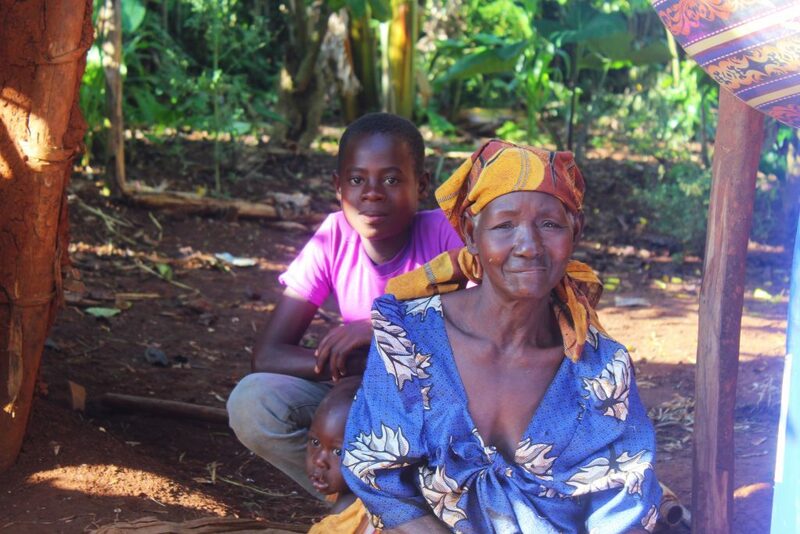 Through the generosity of a sponsor, her older grandson is also now supported to go to school. Jessica and her family are so happy and grateful to God for this support, and she continues to work hard to support her grandchildren. Throughout 2018, we have been supporting families in Buikwe with Water and Sanitation interventions, including access to safe water and toilets! We are currently working in two sub-counties in Buikwe District and we are working to transform 12 villages over the next four years. Each village is being supported with a holistic Water Programme to provide each one with a mixture of new borehole wells, rehabilitated water sources, toilets for families and public spaces, hygiene education in schools. training for new pump mechanics and sanitation solutions for the whole community. To do this we need to raise £25,000 per village. Could you support our water projects today and help families in Buikwe with safe water, toilets and more?